Can we wear leather leggings at 50 plus? Leather leggings at 50 plus? If like me, you remember squeezing into skinny leather leggings the first time around, you’re either going to be pleased or distraught to learn that they’re back with a vengeance as a little micro-trend. They were pretty hard to pull off then, so it got me to wondering if we can wear leather leggings the second time around let alone at 50 plus? There are a few caveats attached to this post. The first would be that if you didn’t fancy this back then, there ain’t no way you’re going to love it now, so stop reading, turn your device off and go do something more meaningful for the next 10 minutes or so. 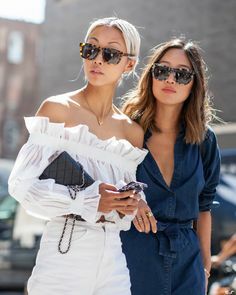 If, on the other hand, you harbour rose tinted mems of the sweat riddled dressing process, the rock chick vibe and the knowing admiring glances from your girlfriends who knew a thing or two about being cool, then, by all means, read on. I approached this post with slight trepidation, after all, I’m turning 55 this year and really… should I be strolling around the streets looking like mutton and fending off side eye looks from my kids who think I’m way past it anyway? But in the interests of science, oh and of course our fab female 50 plus community I thought I’d give it a bash. The great thing about the leather leggings trend this time around is that technology has come a long way. We no longer have to fork out the price of a posh holiday to buy the perfect pair – yes Joseph, you still elude my price point to this day. And what’s more, there’s the joy of faux leather which has become a hero textile for our time allowing us to wear all sorts of delicious garments with our conscience and purse strings intact. I snapped up this pair of faux leather leggings from Shopbop, and yes, they do come up tight, so size up – mine are a medium which is my normal size (between a 10-12 UK) and I reckon a size up would have been slightly more perfect for waistline comfort. 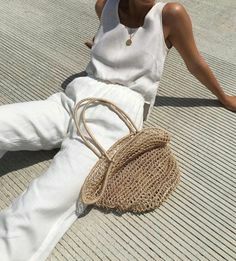 But all in all, they are uber comfy and warm to wear so they will definitely be getting a few outings as the winter chills slowly segue through to spring. I’ve paired them with a J.Crew blazer from a few seasons ago; The White Company knit from last year (similar here), Acne Studio boots and a leather tote from Etsy. Leather leggings… where to shop. I think the key to adding leather leggings to your outfit armoury at any age is to balance the raunch factor out with a smattering of tailoring and a dab of textured layering. The leather leggings in themselves are making a bold statement so keep the rest of your outfit pared back and tonal for a chic take on the vibe. On the shoe front, they work equally well by day with booties and this season’s hiking boots as they do with a pair of sneakers. By night I’d turn the hemline up a few times to show off some ankle (yes that’s still a thing), and pair with kitten heels to add a ladylike softness to them. So if you’ve got this far and have a yen to road test this trend, here’s where to look. In terms of price point, good leather leggings still come in at a pretty punchy level – for designer leggings think £800+, but high end high street labels have some gorgeous picks for below £500. Otherwise try the faux leather route like me, which you can snap up for under £100. Click the images to shop. #AffiliateLinks used. 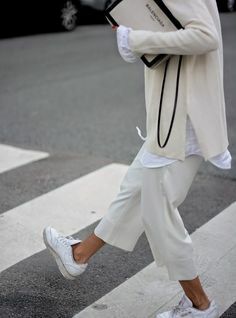 Previous Post Sneaker trends to try for Spring.